The very first time you buy coins or bullions is a moment that is filled with mixed feelings. You are surely filled with doubt as you want to be sure that it is the right time to buy and that your purchase is one that will offer a good profit in the future. When you look online for tutorials about such operations, you find a wealth of information. Making the correct decision can be difficult so let us offer some advice that you can definitely use to make a successful first time purchase. Most people ask what they should buy as a first time purchase but the answer to this question is not at all simple or straightforward. It is important to think about why you want to buy gold. For instance, in the event that you want to capitalize on price movements, you will want to consider buying contemporary bullion coins. In the event that you are concerned with capital controls, call-ins or gold seizures, focus on gold coins that appeared before the year 1933. In both situations you have a small premium that is gained over the melt value of gold and the liquidity is strong at an international level. Many first time coin and bullion buyers are concerned about the best time to make a purchase. Instead of thinking about that, in order to enter the gold trade market, focus on buying gold when you actually need it. We can see gold as being wealth insurance. It is not a good idea to buy in a similar way to real estate or stocks. You do not have to worry about timing. If you think that you should own gold, it is the right time to buy. Waiting for prices that are more favorable may happen but that is never a certainty. As an alternative to buying actual gold you can buy what’s called the underlying product, also known as gold cfd’s (contract for difference). This enables you to benefit from the same movement in the price of gold without actually buying the gold itself. Services like Bullion Exchanges can always be used, at any point of day or night. When you determine the fact that you want need, for whatever reason, you just have to go online and buy from such services. There are even time restrictive deals that you can take advantage of from time to time. The common belief is that you have to wait until the demand is high in order to buy at a great price. That is not actually the case. As an example, during the financial crisis of 2008, we had a huge demand for coins. The market was not able to deal with this demand. Supply was really low and it was actually difficult to find something to buy. Professionals will tell you that the best possible time to invest in bullions is when the entire market is quiet. Gold is different than other capital assets because there is no dependence on the ability that someone has to pay for it. With bank savings and bonds we have delimiting factors. Because of this, gold investments can be seen as insurance as the precious metal protects wealth. Since gold is much more stable than other investment opportunities, having money invested in it will keep your assets safe on the long run. The first time investor will often think about how much money to invest in gold. There is no rule that everyone should respect. Experienced investors agree that an amount between 10 percent and 30 percent of personal assets is usually a good idea. However, deciding the exact percentage is subjective. You will think about various factors like financial situation, political situation and current economic situation. Based on that, you will think about how much to invest and the decision is all yours, it does not follow a specific template. It is very important that you do business only with companies that are reputable. 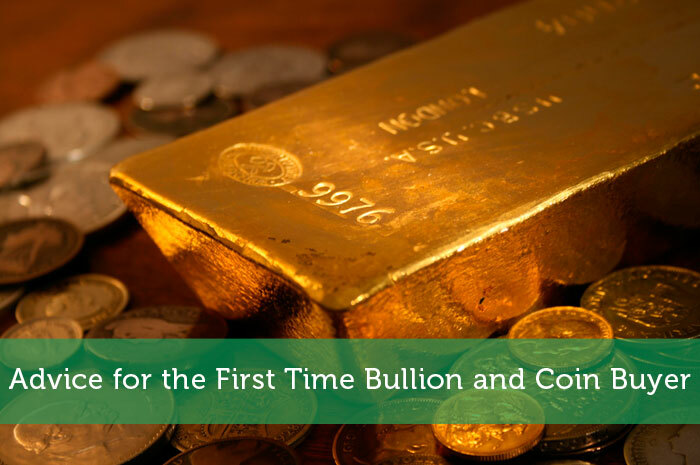 We already mentioned Bullion Exchanges as an example of that. The gold firm that is experienced will basically act as a business partner. It will help the first time investor to avoid various pitfalls and problems that can appear with bullion investments. Direction is given and you can easily gain the help that you need in order to make a properly informed first time investment. Unfortunately, it is difficult to realize what gold firm is good. The most important thing is to always check the company’s official Better Business Bureau profile. Look at the rating and the complaints that appeared against the firm. Analyze exactly how complaints were solved. If you notice that there are many complaints, you should see this as a clear warning sign. A first time investor does need to always do this but most people will not. Always choose a company that has been around for as long as possible. A minimum of ten years is a necessity. Also, work with the gold firms that do answer all your questions. Communication is highly important in the industry. Many will trust the companies that advertise on TV or on the radio. Do not blindly do that. Use the same approach that we highlighted above. Gold firms that sponsor shows and athletes are not necessarily the best for first time investors. You may end up trusting them and paying a lot for the gold that you buy. It is not something that you want. First time investors often fall into a common trap. They make investments that are not connected with objectives. Let us say that you are a safe haven investor. In this case you want to buy coins in order to add to the value of the portfolio. Because of various reasons, you can find yourself buying exotic rare coins that would not be suitable for your initial investment strategy. There are many gold investors that do own gold stocks. They can be really good but for a first time investor, the best approach is to invest in gold in a physical form like bars or coins. Stocks can only be seen as an addition to portfolios. Use that only after you already own gold bullions and coins. The reason for this is really simple. When you physically own gold, if the value of the metal grows, the value of your assets will also grow. The same thing cannot be said about gold stocks. No matter what you may be tempted to believe at the moment, the best approach for you is to act as a safe haven investor. That is something that does protect you against the weakness of the stock market, deflation, inflation or other currency problems. Hedging financial difficulties is only guaranteed in the event that we invested in one portfolio item that will be advantageous in most cases. Gold bullions and coins are obvious choices. My husband and I have been considering buying gold as a form of investment. We’re still not fully clear as to the best way to go about this. Thank you for this article as it gives us a place to start looking and possibly buying gold coins. I have no problem dabbling in the stock market but he feels safer buying gold. We have started purchasing gold coins for the future. We look for good prices or go to numismatic conventions (allows you to get really great deals) and we always get our hands on the gold, to be later stored in a bank. We do not buy ‘virtual’ gold or anything, we get our own stuff and store it properly.